Explore and learn about your world while making friends. Collect Kipps and buy toys for your pets, new clothes and things for your home. Find and collect animal cards to play with friends. A world of adventure awaits you in Petra’s Planet. 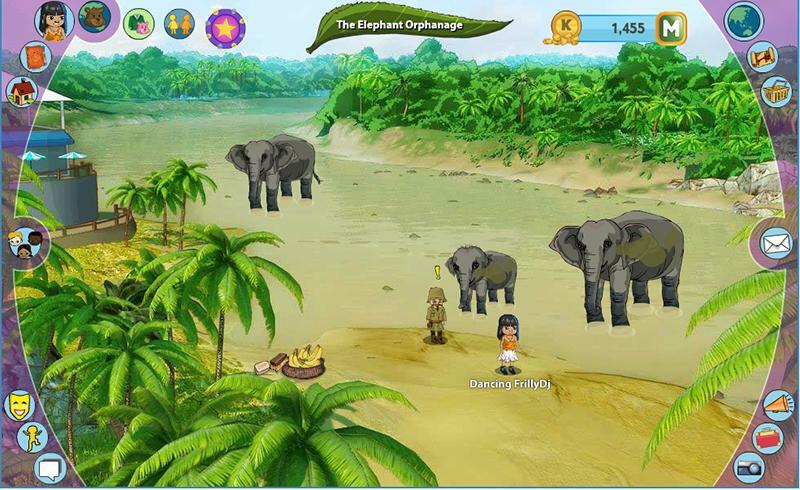 Discover where different animals live, what they can do and the people around them in this educational virtual world. Don’t forget to make friends along the way to make things even more fun. When you enter Petra’s Planet, you’ll be immediately drawn in to its fascinating world. No other game can let you explore exotic locations from a snowy village to a sunny desert. Choose an avatar and select a unique name to start exploring. When you arrive, you’ll be ushered in to your own home, where you are given your first three missions: Create your own look, Decorate your room and Explore the Adventure shop. You get a nice reward for completing each of the mission, and the helpful tutorial will guide you through the process. Once you’ve completed your first three missions, you are free to explore the rest of Petra’s Planet. You can visit the Community Center, which is where most Petra players hang out. You can collect Kipps from palying mini-games found in each of the many locations in the Map. Kipps are used to buy stuff from the Store like clothes, pets and pet accessories and things for your home. In the Global Map, there are four countries to explore. These are: Senegal, Sami Land, Sri Lanka and Jordan. In some regions within a country, you’ll see some characters with exclamation marks on their heads. This means that they need your help and clicking on them will clue you in as to what you need to do. If you accept a quest and forgot about it, you can open your Travel Journal and click on the tab for Quests to see all you quests and what you need to do to accomplish them. Completing quests will grant you Kid Power as well as Kipps. Another way to have fun in Petra’s Planet is to make friends. You can click on another player to add him as a friend or visit his/her home. You can dance with a friend by selecting Dance actions from the Dance icon on the bottom left corner of the screen. You can also chat with friends using the chat box found on the bottom of the screen as well. If you are a Petra’s Planet member, you can enter the Community Club and join awesome dance parties! While exploring different regions, you might spot some interesting animals hanging about. Click on them to collect an Animal card. You can play your first Animal card against other cards to get more. When you have a good number of cards, you can play them with your friends for a chance to get rare cards. Playing cards will also grant you Kid Powers and some Kipps. You can spend your Kipps in the Adventure Shop, where you can buy clothing, accessories, pet toys, furniture and gardening items. There are lots of items for everyone, but there are also lots of cool items for Petra’s Planet members. Take your pick and reward yourself (or your pet) for the hard work in completing your quests. Invite your friends to hang out in your house and play with your pets in the playground. 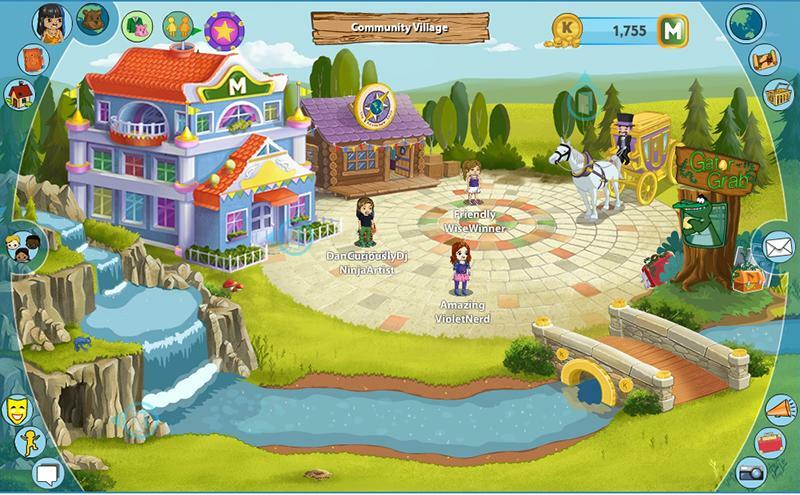 Petra’s Planet offers a world of knowledge while keeping things interesting with engaging mini-games. Kids and the young-at-heart would surely enjoy exploring its fascinating countries and learning about their culture and their way of life.